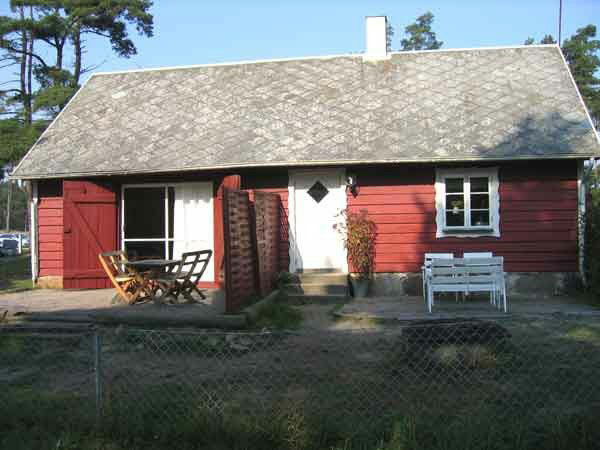 We offer 7 cottages for rent. 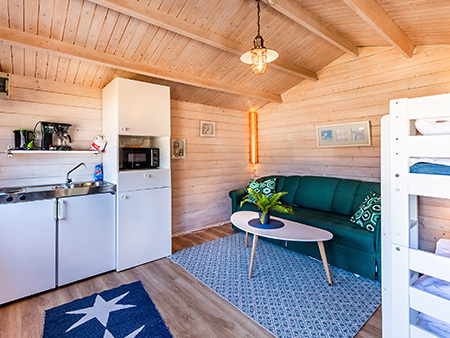 All are furnished with kitchenette with fridge, freezer, microwave and cold running water. Fully equipped with kitchen-ware. Barbecue is available at reception. 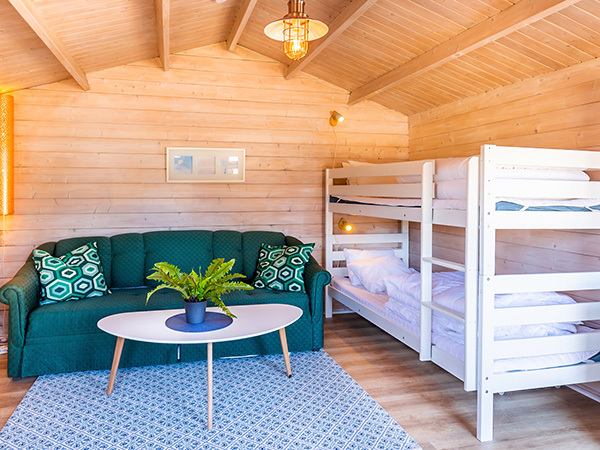 For all cabins Please bring your own bedding and the cottage must be cleaned before the return of key. 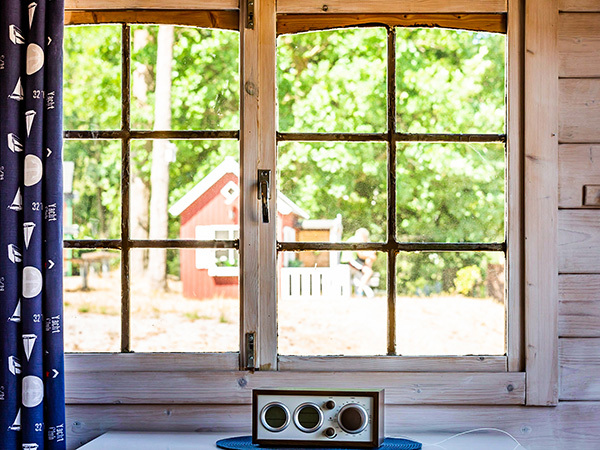 Pets are not allowed in the cabins. Parking for 1 car / Cottage. For other vehicles is parking at the front desk. 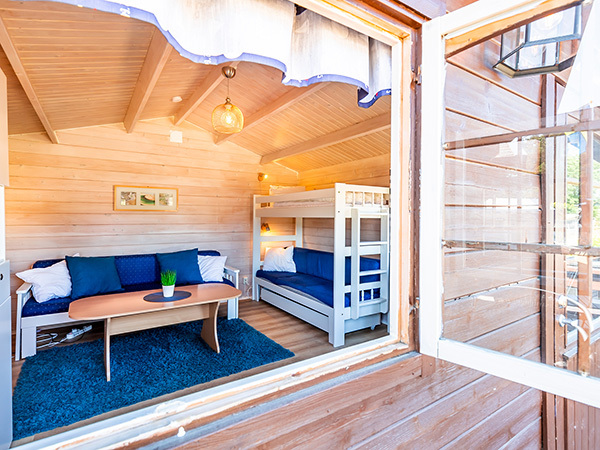 There are 2 apartments In Ålaboden with room for seven people respectively. 4 people. Both contain a fridge, a small freezer, hobs, microwave, coffee maker and TV. Fully equipped with kitchen utensils and crockery. Toilet is available in both cabins. The shower are situated in the service building about 30m from the cottage. 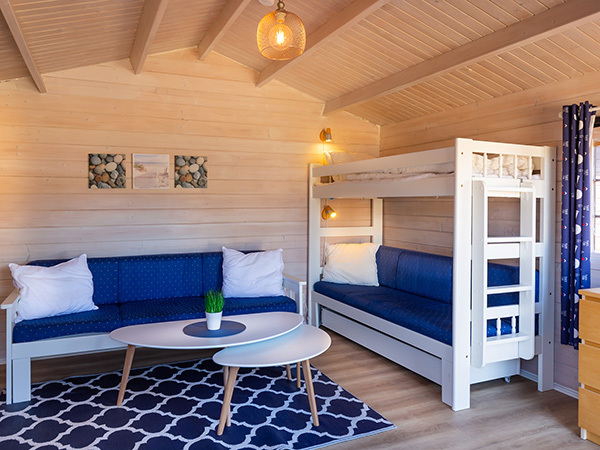 You have 1 minute walk to the beach and outdoor pool, and from the hut’s terrace you can enjoy the sea view. 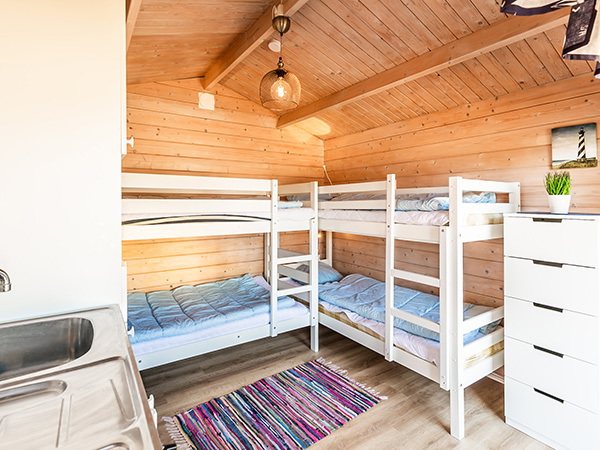 Stuga 1, 2 and 3 and Österlenstugan are all 20 m2, and can accommodate 5-6 persons. 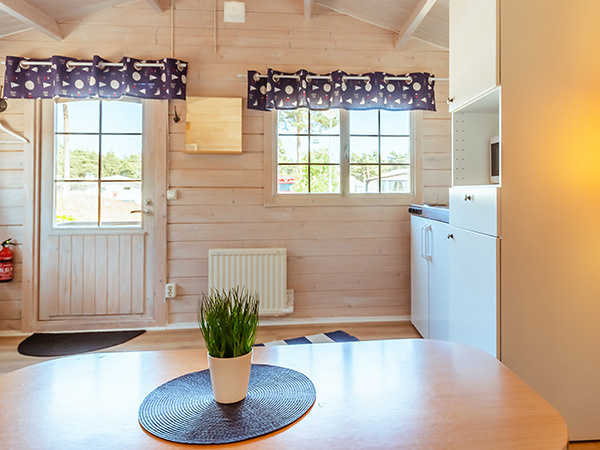 All cottages are furnished with kitchenette with fridge, freezer, hobs, microwave and cold running water. Fully equipped with kitchen-ware. Barbecue is available at reception. Toilet and shower in the service building about 30m from the cottage. 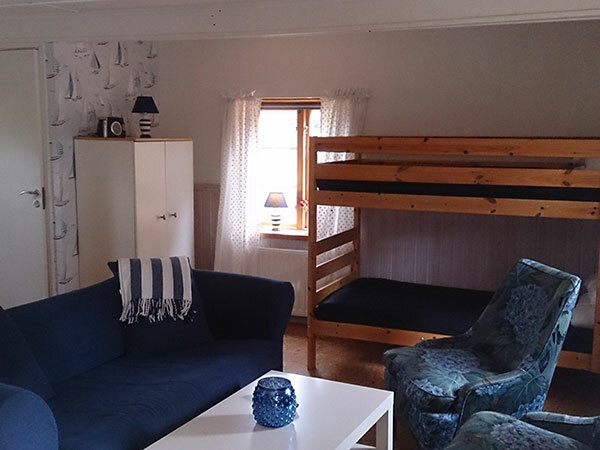 Österlenstugan is 15 m2 and can accommodate 4 persons. 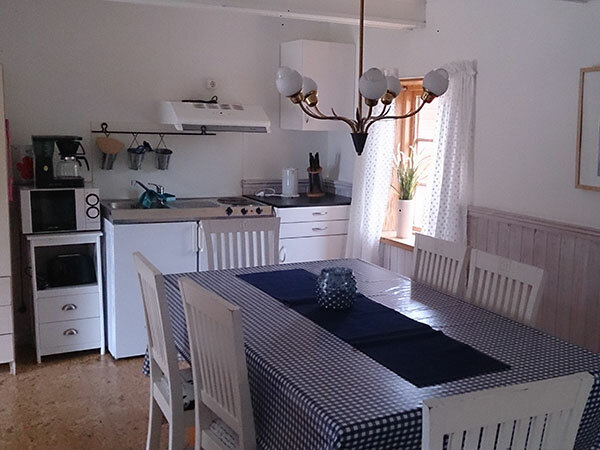 The cottage is furnished with kitchenette with fridge, freezer, hobs, microwave and cold running water. Fully equipped with kitchen-ware. Barbecue is available at reception. Toilet and shower in the service building about 30m from the cottage.